BRI (Beginning Reading Instruction). 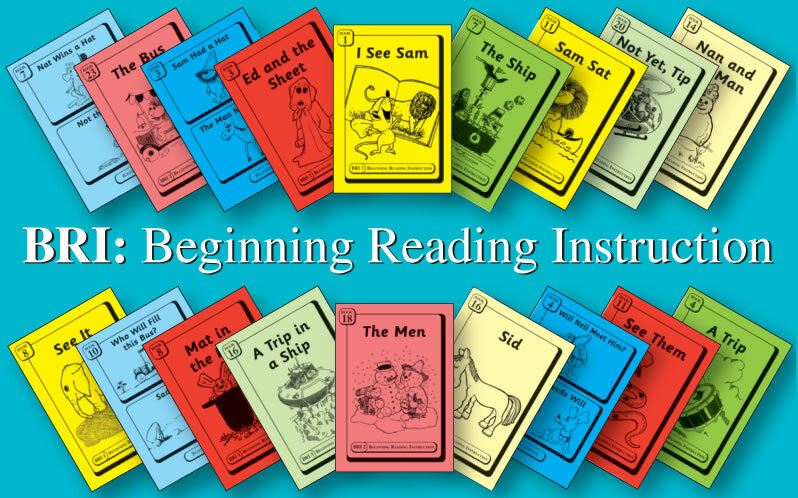 This series of decodable readers is designed to be a tool for teaching the “how to” of reading. The programme consists of meticulously sequenced books. 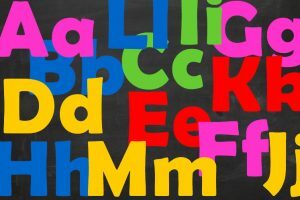 Incremental introduction of the Alphabetic Code is based on painstaking research including widespread school trials. Text in the books is limited to single-syllable words, making the early steps of reading as easy as possible to enable learners to read ALL the words in the story. 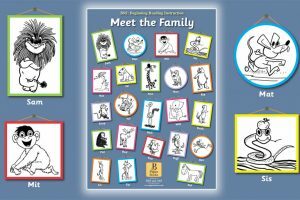 The books are used by teachers in mainstream Reception and Y1 and in special schools. 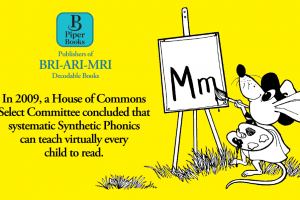 They are particularly beneficial for struggling readers; a daily 5-15 minute session with a TA or a volunteer, in addition to mainstream synthetic phonics teaching, will normally preclude the need for later reading intervention. BRI instruction is spare and unambiguous. By consistently focusing on decoding-through-the-word, the books avoid the ‘mixed strategies’ which confuse many children. Only five graphemes and three words are introduced in the early storybooks. Children with poor short-term memory gain confidence by narrowing the focus of their attention and by learning new material at their own pace. Children learn best when they aren’t grappling with too many confusing ideas (i.e. multi-cueing). Complexity is detrimental to Alphabetic Code understanding. Words and correspondences are regularly revisited. Information is better retained if it is studied for brief periods, spread over a few days or weeks, rather than intensively in a single period. All new sound/letter correspondences are repeated many times in each short book and in subsequent books. BRI’s beginning to read stories provide examples of ‘controlled’ words and sound/letter correspondences repeated in the same, and also in different, contexts. As they progress through the early books, children learn how to deal with ‘variation’ in the code (same sound represented in more than one spelling: e.g. me, meet) and ‘overlap’ (the same spelling representing more than one sound: e.g. on, no). Training children to ‘hear’ discreet phonemes is particularly helpful for those with phonological difficulties. Careful selection of specific sounds in the early books helps children to make the connection between sound and letter. For children with SEN and those who struggle to blend, the selection makes it easier for them to ‘hear’ each sound as they blend sounds into words. The introduction of ‘plosive’ sounds, e.g. /p/, are delayed and words which contain an /u/ (schwa) sound are introduced later still. Juxtaposing look-alike words (e.g. sheet/shall/shell/shut/sell) means that attention has to be paid to each grapheme within a word. This ensures that the ‘easy option’ – guessing – is discouraged. 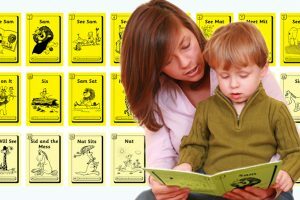 Essential decoding/reading practice is incorporated within lively, expressive stories. The most important predictor of progress in the early years is oral language. BRI stimulates childrens’ development of oral language and comprehension by encouraging dialogue about the antics, behaviour and relationships of the BRI animal characters. 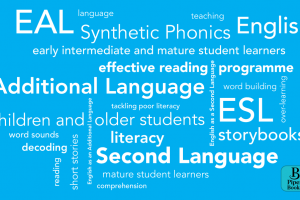 ‘Sound-through-the-word’ instruction focuses on sound and aids phonological awareness and speech development. When we articulate a sound a sensory and motor reference is created in the brain. BRI’s 78 storybooks encourage a habit of sustained reading which leads to new vocabulary. BRI builds on the questions What? Why? Where? Who? and emphasises prepositions such as under, over, on, behind, helping children to build language structure and understanding. 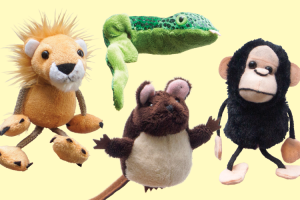 BRI stories centre on lively animals with thinking, feeling and reactive personalities. 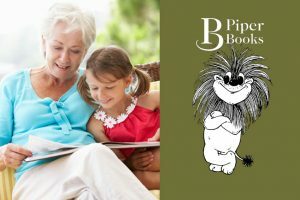 Character-driven stories encourage children to immerse themselves in the reading process from the very first book as they learn to decode/read. BRI stories immediately engage children with the multi-layered world of storytelling that helps to foster a love of reading. Lively, engaging illustrations act as visual supports, helping children to understand narrative. The illustrations – which never aid guessing – are of crucial help to those with Speech Language and Communication (SLC) and those with Speech Language Impairment (SLI) difficulties. Puppets of the main characters also aid communication and understanding. 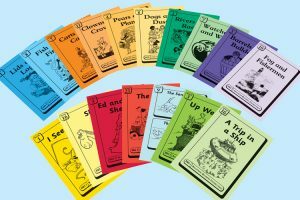 By encouraging children to talk about what is happening and what may happen, the storybooks encourage comprehension whilst honing decoding skills. Rereading the short BRI decodable books embeds skills, enhances comprehension, encourages expression, and helps to boost confidence.